“Lovely ladies keen to help you look your best” Jill Sharp. “Very friendly and takes her time to make sure the end result is perfect. Thank you” Natalie Graves. “I was made to feel really comfortable, very friendly, great experience and really pleased with the results! “I felt I was warmly welcomed which helped to make me feel at ease before going "under the needle!" I am very happy with the colour choice and shape and look forward to seeing the final result once they have settled down. "A wonderful experience,resulting in giving me greater confidence. I have great faith in Mary Ann." Pat Blackwell November 2014. "I have been a client of Mary-Anne Hunter for over five years. Mary-Anne gave me a free consultation and advised me on how I could enhance my transgender journey from male to female. She has always been there to answer my questions regarding the best treatment available for me. Mary-Anne has completely treated my eyebrows, eyeliner and enhanced my lips. These measures have really boosted my confidence in my female role. I have found her support, advice and encouragement immensely useful in helping me to move forward and achieve my goals. I was diagnosed with a gender dysphoria over 10 years ago. I am currently a patient at the gender identity clinic in London." "Just a quick e-mail to let you know how things are going! You must forgive me if I seemed a little overwhelmed on Tuesday evening, but as you can imagine it was a bit of a shock seeing myself with a pair of matching eyebrows after 19 years without! I am so amazed at how good they look and still don't recognise myself in the mirror in the morning! My family are very impressed and my Mum was quite emotional, as she knows how much my eyebrows have bothered me. They seem to be healing well, my left eyebrow does seem to have a small patch with very little pigment in it, but I am sure you will sort that out when I come back. You were right, I wish I had had it done years ago! My husband can't stop staring at me, but I think it probably because he has never known me with matching eyebrows!! Looking forward to seeing you in June and seeing the finished product. Hope you are well, Thanks again." "Pleased I chose Pretty Permanent. Totally professional and a good experience from start to finish where you are made to feel welcome and your best interests are taken to heart." "A perfect place with excellent service and a highly professional finish." "Thank you for the lovely experience and for your wonderful personal touch and professional and humanistic manner. I feel treating yourself could not be done better than at Pretty Permanent makeup because they tend to make you feel appreciated and welcome in a way that will exceed your expectations!" "I was warmly greeted in a nice and friendly atmosphere and discussed my concerns. The appointment was scheduled promptly to suit my time table and the finance arranged, which is a great bonus! Thank you very much!" "Mary-Anne was wonderful as ever. I had a brow refresh and she took great care to find out if there was anything I wanted to change in respect of the shape and she also made suggestions for enhancement. Mary-Anne puts me at ease and is also very empathetic and offers wise words about other areas of my life. I feel very uplifted both physically and mentally." "Was quite nervous about having procedure done but was made at ease by Mary-Anne. Very professional. Nice salon and lovely cup of tea to start!. Very relaxing having procedure done with no discomfort. Only my first day after treatment and having trouble adjusting to different eyebrows because they seem very dark and bigger to what I am used to but hope over the next 7-10 days they will fade slightly. 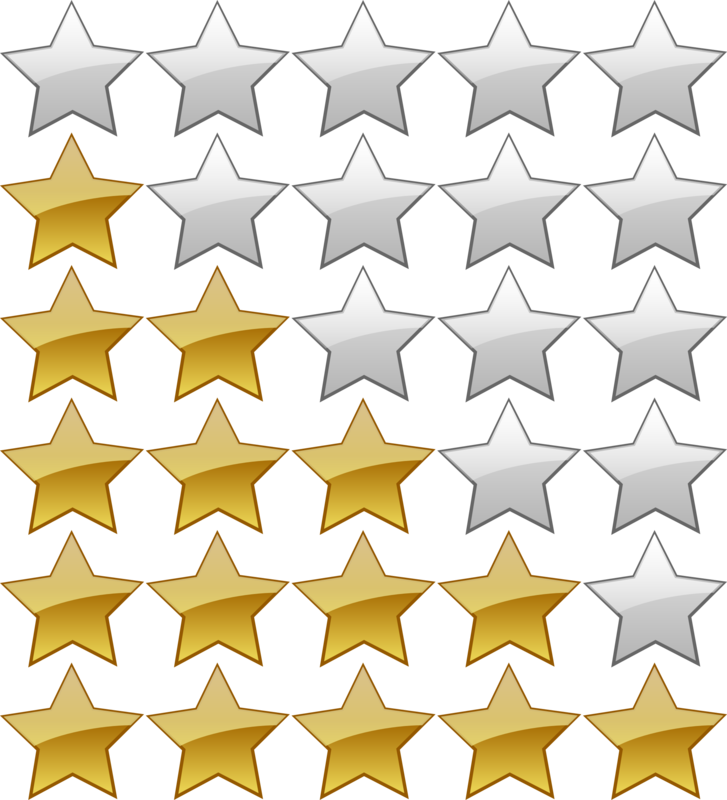 Overall very pleased with the whole experience and would definitely recommend it." "Excellent service and my eyebrows are fantastic ,they make such a difference to my face and confidence,highly recommend." "Mary-Anne of Pretty Permanent Makeup is brilliant, she is so good at what she does .I've been going to her for years and just had my visit to colour boost my brows and a dermaroller treatment." "Mary Anne is always so professional as well as being friendly and makes you feel so comfortable. Love my eyebrows!!" "I was really happy with Mary-Anne's work. She is a true perfectionist and ensured that my eyebrows match my expectations. She also ensured that I did not have any pain during the procedure. Thank you!" "This is my second visit to Mary-Anne. Although I live 40 miles away from Felbridge and I'm closer to Brighton and Chichester I can't imagine going anywhere else. Initially I went to Karen Betts in Harley Street but haven't returned since finding Mary-Anne. She is professional, very patient, treats clients like individuals and her work is exceptionally detailed. The finished look is the best I've seen. Thank you Mary-Anne." "I have finally found someone I trust to work on my face with permanent make up. So pleased with my new eyebrows. I Have had derma roller with a noticable difference on my neck after first treatment. Happy and been well looked after. I will be going back for more." "excellent service. would definitely recommend to otherrs." "Mary-Anne is a true professional I was very nervous but as soon as I meet Mary-Anne she put me at easy very relaxing atmosphere I have had very over plucked eyebrows for years and Mary- Anne spent a lot of time explaining about the procedure and matching the colour to my skin tone and hair I would recommend anyone thinking about having this procedure done to book an appointment with Mary-Anne I love my new eyebrows I wish I had found Mary-Anne years ago." "Amazing, Mary-Anne works miracles and makes you feel so happy and confident. My eyebrows are beautifully shaped, perfect colour and look very Natural. I am over the moon and recommended anyone who dislikes their eyebrows to get this done. Makes you face look different and makes you feel so much happier, wish I had done it years ago. Thank you x"
"As with my first appointment, I was excellently looked after and the end result is amazing. I know I will come back for more in the future. 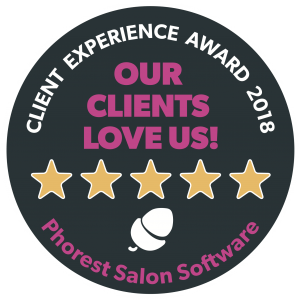 The salon itself is calming, welcoming, smart, clean and customer friendly and I will recommend you to friends and acquaintances." "Professional service as always great result!" "I was made very welcome from the moment I arrived. All the procedures were discussed with me and Mary Anne spent a lot of time addressing my needs. I cannot thank her enough for what she did - I feel so much better about myself now. Thank you." "I was extremely pleased with the eyeliner Mary-Anne did yesterday. Its looking great today. I find it very difficult as you know but I do feel it was worth having done. Thank you so much for your care and attention." "Very friendly, professional and knowledgable. Convenient location with space to park. Clean and comfortable treatment rooms." "Thank you for my fab new brows - I was so nervous and the result is just perfect. No more smudged brows ever again! I am over the moon. Really, really, huge Thanks Mary-Anne. :-)"
"Fantastic time at pretty permanent make up with Mary Anne. Brows looking good and she gave me some great advice for skin care. I will be back for more products soon. Thanks"
"I approached my decision to have permanent make-up with some trepidation but soon the very place I was looking for was brought to my attention when I found the Pretty Permanent website. I was contacted immediately after making my enquiry and quickly put at ease after my conversation with Mary-Anne. My experience was perfect, Mary Anne is a delightful character warm hearted and utterly professional in every way accommodating my needs respectfully. I was startled by how comfortable the environment was which enhanced the treatment experience and treatment and gave me confidence in my decision. I was delighted with the results which exceeded my expectations and brought a smile to my face! I have had several compliments already and I will share my little secret with those who would want to be recommend to a service such as yours. I am happy and delighted and feel very good about myself"
"Having had a bad eyebrow tattoo experience some years ago, at another salon, I was naturally anxious about having them done again. However, from the moment I walked into this very professional organisation and met Mary-Anne I knew that I would be well looked after. Mary-Anne's attention to detail was excellent. After allowing sufficient time for the local anaesthetic cream to take affect I found the whole experience to be totally painless and could I say 'enjoyable' as I felt so relaxed in competent hands. The colour and shape of my eyebrows was first discussed and the results were amazing. I thoroughly recommend Mary-Anne. I feel so confident in her expertise that I have made another appointment to have my eyeliner done also"
"I spent time reading reviews before I contacted Mary-Ann and I am so pleased with my decision. Mary-Ann offers professional and personal care, she is very talented and I am delighted with my eyebrows and eyeliner. I have really enjoyed the benefits of my make up during the recent hot and humid weather. My only regret is that I didn't have it done years ago." "Once again Mary-Anne was just unbelievable! Her calm patient approach was really commendable, I was dreading having a new treatment done that I hadn't done before and I can honestly say it was not half as bad as expecting. My eyes and lips look amazing, and what I appreciated was that she was a perfectionist as this is what you expect when it comes to your appearance. I will travel the country to see you Mary-Anne! Thank you! X"
"Excellent service and great attention I detail. I will recommend to all my fabulous friends and clients." "Really nice relaxing atmosphere,personal one to one enjoyed my treatment and felt very confident of end result which was fabulous and loved the look I ended up with thank you so much Mary-Ann"
"Came back for a touch up on eyebrows and once again thrilled with the result. Mary-Anne was her usual charming and helpful self. I am excited about the ' Derma Roller' treatment due to start in October and seriously considering having eye liner done, thanks again"
Fantastic experience. Soooo worth it. Ladies. Stop thinking about it and book that appointment NOW! :) x"
"I found the staff to be friendly and professional, and the atmosphere very relaxing. I am very pleased with my eyebrows and look forward to visiting the salon again." "I have waited until my eyebrows have completely healed and am absolutely delighted with them. More importantly so is my husband and he is the one who has to look at them!" "Very good results and the procedure was less uncomfortable than I'd expected. Thank you." "I am very pleased with the result I would recommend this procedure to all women. Thank you very much." "Thank you Mary-Anne for your care & expertise ,whilst giving me fantastic eyebrows .You made me feel very welcome & at ease ,in this painless procedure. thank you once again Mary-Anne"
"Must admit I was very nervous after chemo my eyebrows didn't grow back, I am over the moon with the result. Eyebrows look natural the colour is a perfect match for my hair. So pleased I came to you. Thank you for the friendly relaxed atmosphere"
"Thrilled and delighted with my new look eyebrows!! Thank you, will be back for more work!" "Despite being offered semi permanent make up on 'offer' at other salons, we would not consider trusting anyone but Mary Anne with something like this. She is an expert and we have always been delighted with the results. The salon is friendly, warm and welcoming and I would highley recommend Mary Anne and semi permanent make up to anyone. I dont usually get around to sending feedback but Pretty Permanent Make Up was so impressive I felt I wanted to pass it on! Thanks again"
"I love my new eyebrows! The procedure was quick and painless and the result is fantastic. Everything was explained and I felt totally relaxed. Thank you"
"I was extremely nervous about having my eyebrows done. Over plucking meant I had not had any for years. At first the initial result was very startling but as promised within just over a week I had natural looking eyebrows. It took a couple of weeks for me to get used to my new appearance but now my face looks as it did years ago. Mary Anne was right, it enhances my eyes and makes me look younger. It has given me a boost in self confidence. Mary Anne was very patient with me and she took lots of time to help me decide what shape and size of eyebrows I was comfortable with. Despite my worries my appearance was in safe hands with Mary Anne. I am more than happy to recommend her and it was worth the cost." "Once again I am very pleased with the whole experience of having my eyebrows treated. It has boosted my self confidence no end and would highly recommend it. "Despite being concerned that I wished a 'very natural' look for my eyebrows Mary Anne very professionally steered me to make the right decisions regarding their final shape and colour. Very pleased with the shape and look forward their final appearance within the next two weeks!" "Today was my 3rd visit, I have alopecia and Mary-Ann is absolutely brilliant, the eyebrows look amazing! I can't rate her and her work enough :)"
"I was very nervous befor coming for my treatment but Mary Ann made me feel very comfortable starlight away! I was so extremely happy with the result that I wish now I had the guts to go abit darker !! I will 100% be returning for a colour boost sooner than expected! Relax you are in good hands this lady knows her stuff!!!" "I have previously been to Knightsbridge to have my eyebrows done and although I have always been happy with those results I am DELIGHTED with Mary-Anne's work. The premises were immaculate, the consultation in-depth and for those of you who may be concerned that there may be some pain with this procedure - I felt NOTHING !!!! This surprised me as in the past I have definitely experienced discomfort (although it was bearable) The shape are colour of my brows are fabulous - Mary-Anne is a perfectionist - I have no hesitation in recommending her highly. I am actually looking forward to getting a color refresh when the time comes such was the enjoyment of my visit (she creates a very caring and comfortable environment) and my sister will be making an appointment to get her brows enhanced too." "I have every confidence in Mary-Anne and her practice"
"Mary-Anne is a kind and caring lady who takes great pride in the service she provides. She has gone the extra mile with me due to my eye infection and I am very pleased to have found her. I would not hesitate to recommend Mary-Anne and if anyone is thinking of Permanent Make-Up - don't think.....do!" "	Mary-Anne is amazing and the atmosphere could not be more comfortable. She advices on the product/shape but no pressure to do anything you not comfortable with. My eyebrows have turned out lovely and I would not hesitate to recommend anyone thinking of this treatment to Mary-Anne." "	I am extremely pleased with the results and feel I now look more natural and have the ? Shape brows for my shape. I am please with the service and with MaryAnne herself - I have felt comfortable all the way through, I will be coming back again. Thank you." "I am able to get up and ready for work without a second thought of penciling in equal eyebrows or worrying about rubbing them off during the day during hot weather. Lots of people have noticed my new appearance but can't put their finger on what is different about me, until I tell them my secret"
"After my eyebrows not growing back from over plucking and threading, this was the perfect solution. Great result, better than expected. Would definitely recommend. I no longer have to worry about penciling them in after a shower, gym or swim"
"	Mary-Anne has made me feel so much better in my confidence she so professional with her approach. I feel so at ease with her and her knowledge and she is so caring I would recommend her to my friends. I had a few treatments with Mary-Anne I had my scars done which I am over the moon with, I can now have my hair up, I had full lips eyebrows which look fab and Mary-Anne will always ensure that your 100 percent happy." "I was back for my second eyebrow top up. I hadn't imagined that the care and service I had received on previous occasions could be bettered; but it was! On my first visit some years ago I was very nervous about the procedure and the potential pain factor. However Mary-Anne took a lot of time and care to make sure I was completely at ease and that my eyebrow shape and colour was exactly as I would like it. The same standards of care and attention to detail were still in place and I have to say that this was a complete pleasure. Absolutely no pain at all. Fantastic results. The following day my brows looked just great, no redness ~ just a well defined brow." "I am a performer. My facial expressions are crucial. The artistic brow is restored and I am very happy! Thank you so much Mary-Anne." "	I would have no hesitation in recommending this procedure to anyone who has suffered hair loss as I did, or whose brows have got pale or thin with age. Mary-Anne is a kind, considerate and knowledgeable practitioner, very experienced in this field who puts you totally at ease. I am extremely pleased with the results and will be back at some stage for further procedures." "The atmosphere at Pretty Permanent Make-Up was welcoming, relaxed and I had fantastic results. Thank you for my beautiful eyebrows, I would recommend to anyone without hesitation. See you again soon!" "I am very pleased with my eyebrows and lips, it saves me having to apply makeup everyday and I now look good when I wake up in the morning. My husband is very impressed with my new look." "I had to think twice about having both my eyebrows and eyeliner done in regard to cost, but I am SO glad that I decided to go ahead. It made such a difference on my recent holiday, always looking like I had my make-up on even when coming out of the pool! Being of a mature age, I have had very sparse eyebrows for some years and I am just so happy to now have perfect brows all of the time without a pencil in sight. MaryAnne has matched mine to my hair colour so well and the shape is great too, also the eyeliner makes my eyes really stand out and I have been complimented on my new 'look' though these people are unaware of what I had done. Although there was some pain involved, MaryAnne is very professional and re-assuring throughout the whole procedure. For me though, the end result justifies the means and my new eyes are well worth any discomfort I went through and the costs incurred. Whether I am wearing additional make-up on a night out or going 'bare' on a busy day, I have so much more confidence in my look and would recommend going semi-permanent to anyone." " I just wanted to say a huge Thank You for my eyebrows, it really has made a big difference and I don't know how I ever managed without them! I also wanted to say thank you for making me feel welcome and at ease and taking the time to plan and discuss my eyebrow shape and colour before the treatment. I am so happy with the end result and would highly recommend you. I look forward to seeing you again. Kind Regards"
"My eyebrows healed after a week - and as predicted I am delighted with them, I don't know why I was so skeptical about the whole procedure - old age I think! I look forward to seeing you again in August. Many thanks"
" I'm just dropping you a quick line to let you know all is well and I'm loving my new brows! You were of course completely right, my brows did need doing and the shape is amazing. I'm healing really well and looking good. Can you believe my husband hasn't noticed (ish). I've had a few sideways glances but I had told him I was coming for a tint so he's quite used to my eyes being darker for a few days following treatment. Three people have said they love my new hair !?! how strange. Still getting used to my lower lids as I have never had a steady enough hand to do this myself - the freedom of not having to wear make-up and still looking ok is fantastic. Thank you very, very much and sorry again for Friday. See you on 11th March"
" I love my eyebrows! Thank you very much for a fun and productive morning! See you on the 9th, say hello to Sam Annax Just wanted to let you know I am delighted with my eyes, thank you!!" " I have been meaning to e-mail you, I just wanted to say how pleased I am with my eyeliner, it really did work well and looks fab. So a big thank you for all your effort and patience." " For years I struggled with drawing in my eyebrows and the time it took that I simply had to do something about it. I am so impressed with my eyebrows now that applying my make-up takes half the time and I look great! Thank you MaryAnne." "When I first learned about semi-permanent makeup I thought it was only for rich and famous people but not for me. I gave it a go after I'd seen "before and after" pictures and I must say that I was very pleased with the results. I'm not a woman who constantly checks her make up or pulls out the mirror to find that I need another layer of lipstick or at least contour/lip liner. For the last 2 years I did not have any attention on my lip makeup because it was "permanent" and I woke up with it every day. That's the reason why I'm back to Mary-Anne again to have it done a second time. I find Mary-Anne a very thoughtful and competent lady and can recommend her and the treatment to women that want to look naturally beautiful when they wake up! Thanks a lot." "I am extremely vain and the most difficult client to please when it comes to hair and beauty. Having had several little bits of cosmetic surgery on my face, which I've always been quite pleased with the results and never thought that by going to someone like MaryAnne, who is far and above any beautician that I have experienced that there could be any more artificial improvement by what had been done. I was overwhelmed by the result which was not altogether painless but worth it. I would recommend her most highly to any of my close friends or in fact to anyone who would listen to me expounding her work." "After a friends recommendation I went along to see Mary-Anne at Pretty Permanent Make-up to see if she could help me. My esteem was pretty low but after a chat and consultation we decided that having my eyebrows done might help as they were non existent. The results were astonishing they were a fantastic shape and the colour MaryAnne suggested was also perfect. I also had my lips done later and again the result was fantastic. Friends compliment me on my new look and with this my confidence has grown. I feel great and am looking forward to my next visit"
"In 2003 I started having treatments of semi-permanent makeup (through a recommendation) which has resulted in a healthy, natural and vital appearance. With little pain, Instant results, long and lasting enhancement!Each of us has good natural things that can be emphasized and improved. This has the ability to counter the effects of time, thus leaving me with little or no effort at all on a daily basis." "I might be considered to be the least likely candidate for this treatment. I don't wear makeup but I do like to take good care of my appearance. As I was approaching 50 my eyebrows were almost vanishing. Over enthusiastic plucking in my teens had resulted in a very thin brow at the best of times. I had always aspired to a well defined "artistic" brow, but it was not to be. Then I discovered Mary-Anne and semi-permanent makeup. My eyebrow dream could become a reality. I went for a consultation and was immediately reassured by Mary-Anne's warm and professional; approach. My main concern was the potential pain and looking "overdone". Well, Mary-Anne took lots of time to help me choose colour and shape and I am delighted with the result. It was not painless, but Mary-Anne was very reassuring and the results were brilliant, I've been complimented so many times on my appearance since I've had my brows done, people don't really know what I've done but say I look good-Perfect result. I'm back for a top up and redefinition. The top up procedure was fine, there was less discomfort and I knew what to expect and once again they look fantastic. The artistic brow achieved!"